This bibliography of three centuries of Devon newspapers is based on the Devon section of Bibliography of British Newspapers: Cornwall and Devon, edited by Jean Rowles (Cornwall) and Ian Maxted (Devon) (London: British Library, 1991). It has been amended to reflect recent discoveries and the work of the Newsplan project to microfilm and conserve British provincial newspapers and reflects the state of knowledge in 2005. It is subject to further revision, especially as far as the availability of microfilm files is concerned, and enquiry should always be made of a holding library before a visit is made. Microfilm files are normally highlighted in bold type as, where such files are available, access to the originals is not normally possible. Newspapers are extremely fragile and survive in very few copies, so the originals must be safeguarded as archival items for the future. Coverage of this Devon listing includes some titles published outside Devon where they circulated extensively within the county or had Devon news coverage. For fuller details of these titles enquire with the relevant county or the British Library Newspaper Library. The compiler would be grateful for corrections, indications of bad links etc. This index lists the varying forms of titles under which newspapers have appeared in Devon since about 1704 and refers to the main listing by place of publication where their details, including library holdings, are more fully described. Banfield's Arrival List, 1854?-1863+: Ilfracombe 1854? The Dawlish Times, 1862?-1903: Dawlish 1862? Ilfracombe Advertiser, 1865: Ilfracombe 1855? The Ilfracombe Gazette [& Observer], 1875-1920: Ilfracombe 1855? Mid-Devon Advertiser, 1909 to date : Newton Abbot 1863? Newton Abbot and District Weekender, 1982?-1983? : Torquay 1982? Newton Weekly Journal, South Devon Advertiser for Torquay,Teignmouth and Ashburton, 1863?-1870: Newton Abbot 1863? Sidmouth Herald, 1895? to date: Sidmouth 1867? Sidmouth Journal, 1857?-1888: Sidmouth 1857? Torrington chronicle: Great Torrington 1884? Local edition of Totnes Western Guardian. A continuation of: Pulman's weekly news, Devon and Dorset edition, 6633, 12 Jun 1984 to date. Master negative: 1986 to date BLNL. Continued by Axminster and Lyme News, 9 Dec 1988? A continuation of: East Devon news, Axminster and Axe Vale edition. Free distribution. Merged with: North Devon Herald to form North Devon Journal-Herald. From April 2000 published in Barnstaple, Torridge and Ilfracombe editions. North Devon Athenaeum: 2 July 1824-24 Jun 1825; 10 May 1849-Dec 1852; 28 Jul, 11 Aug, 1,15 Sep, 6 Oct 1853; 1854-1861; (9),16,23 Jan, 20 Nov 1862; 1863-27 Feb 1941. Mic: 2 Jul 1824-24 Jun 1825; 1827-52; 1854-61; 1863-66; 1868-69; 1877-79; 1897; 1900-27 Feb 1941. Barnstaple PL: MIC: 1850-52; 1854-61; 1867-72; 1877-82; 1884-99; 1932 to date. Literature: Centenary number North Devon journal 3 Jul 1924. Boorman, H.R.P. The Newspaper Society, 1961, p.119 Metcalfe, Tim. Recording North Devon 160 years ago. Western Morning News 9 Aug 1984. Master negative: 1850-52, 1854-75, 1877-99, 1934-40 Devon Library Services, stored in Exeter Central Library. 1827-49, 1853, 1858, 1860-61, 1864, 1867, 1873-79, 1883, 1889, 1892, 8 Apr-15 Jul 1897, 1987 to date BLNL. 1941 to date filmed by Wessex stored for publisher in bank vault. Jan-Jun 1900 South Hams Newspapers, filmed by Wessex, stored in Devon Record Office [check]. Master negative: Newsplan: 5 Jan-8 Aug 1826. Possibly a continuation of : Barnstaple and north Devon miscellany. 1-?, Jan 1854- Sep 1855-? Master negative: 1856, 1871, 1873-83, 1885-86, 1888-89 BLNL. Master negatives: 1875-77; 1879; 1889 BLNL. Caen Corner, Tuly Street, Barnstaple EX31 1DH. Claims descent from: Bideford gazette, 1854. Bideford PL: 12 May 1937-28 Feb 1986. Poor condition, currently stored at Barnstaple. Bideford Community Archive 1857-1863,1865-1870,1880-1976 (publisher's file). Index; Bideford Community Archive 1856-71 1873-1920, continuing (briths, marriages and deaths to 1955. Boorman, H.R.P. The Newspaper Society: 125 years of progress, Kent Messenger for the Newspaper Society, 1961, 118-9. Christie, P. "How Mr and Mrs Honey gave birth to the Gazette" Bideford and north Devon gazette 18 Mar 1983, 7; "In retrospect", Bideford and north Devon gazette 7 Jun 1985 and 27 Aug 1987. Free newspaper published by Bideford Gazette. Torridge: 7 Mar-19 Sep 1986 and occasional later editions "when there is an excess of local news"
South Hams Newspapers: 5 Dec 1946-Dec 1948, 1960-64, 1966-68. MIC: 5 Dec 1946-Dec 1948, 1960-64, 1966-68. Master negative: 1950 BLNL. 5 Dec 1946-Dec 1948, 1960-64, 1966-68 South Hams Newspapers, filmed by Wessex, stored in Devon Record Office. South Hams Newspapers Ltd, 101, Fore Street, Kingsbridge TQ7 1AF. Takes its numbering from the Paignton news, of which it was a local edition. Local edition of South Devon Shopper from which it takes its numbering. Continues Brixham News. Master negatives: Feb 1986 to date BLNL. British Library, Colindale: 31 Jul 1875-1896; 1898-1911; 1913 to date Mic: 1897, 1912. Master negatives: BLNL: Jul-Dec 1855, 1857, 1864, 1867-72, Jan-Mar 1873, 1874-95, 1899-Sep 1954 History: Centenary commemoration issue. South Devon weekly express 3 Dec 1965. Pridmore, G. The only half-penny one-man newspaper in the world. Worldwide newspaper collecting vol. 2 no. 2 (1971/2) pp. 8-9. British library, Colindale: 2 Jul 1881-Dec 1895; Apr 1896 to date. MIC: 1889, 1950, 1951. Newsplan: 16 Jul 1881-Dec 1895, Apr 1896-Dec 1950. Exeter PL: 1975-79. MIC Newsplan: 16 Jul 1881-Dec 1895, Apr 1896-Dec 1950. 125th anniverary issue, Tiverton gazette 26 Apr 1983. Master negative: 1889, 1950-1951 BLNL. Newsplan: 16 Jul 1881-Dec 1895, Apr 1896-Dec 1950. Crediton Country Courier: Dec 1974-1981, (1982-83), 1984 to date. Not bound. Cullompton PL: 13 Feb 1987-26 Aug 1988. Monthly to Dec 1861, fortnightly 1862-2 Apr 1863, monthly to Dec 1870, then weekly. Brixham Museum: 4 Feb 1916, 15 Oct 1926, 10 May 1935, 14 May 1937, 21 Jul 1939, 15 Sep 1944, 23 Mar,13 Apr, 5,18 May 1945. Torquay PL: 1886,1893, 1897, 1901-7,1910, 1912-3,1919. History: Centenary number, Dartmouth chronicle, 1 Jan 1954. Master negative: 1855-1971, filmed from publisher's files by Wessex (1855-82 stored in Exeter Central Library, 1877-98, 1901-08, 1910-49, 195160, 1962-71 stored in Devon Record Office). 1875 (Newquay ed), 1876-77, 1890, 1896, 1898, 1960 (South Devon ed and Dartmouth ed) BLNL. 1874 DARTMOUTH ADVERTISER, TOTNES & BRIXHAM INTELLIGENCER. No copies survive. Listed in Mitchell 1877-81, Mays 1877-80. Proprietors: J.F.Leyman (1877), A.Leyman (1878), W.J.Salway (1879-81). See: Western guardian, local editions, Totnes 1882. Discontinued. Local edition of: Dartmouth Chronicle, whose numbering it took and with which it merged. Local edition of Totnes Times with which it merged May 1975 See Totnes 1860. British Library, Colindale: 1 Oct 1868-1896; 1898-6 Jun 1903 MIC: 1875-77, 1889. Newsplan: 1 Oct 1868-1876, 1878-1896, 1898-1903. Exeter PL: MIC (Newsplan): 1 Oct 1868-1876, 1878-1896, 1898-1903. Master negative: 1875-77, 1889 BLNL. Newsplan: 1 Oct 1868-1876, 1878-1896, 1898-1903. Dawlish Newspapers Ltd, 6 Park Road, Dawlish EX7 9LQ. Dawlish Museum: 24 Apr 1897-10,24 Sep-26Nov, 10-17, 31 dec 1989-20 May, 3 Jun-22 Jul, 5 Aug-16 Dec 1899, (1900-26), 1927 to date, publisher's file. Exeter PL: MIC (Newsplan): 24 Apr 1897-1950. Master negative: 1986-87, 1989- BLNL. Newsplan: 24 Apr 1897-1950. Literature: Wiles, R.M Freshest advices Ohio State University Press 1965, 412-4. 1-241-?, 8 Apr? 1709-17 Aug 1711-? Literature: Wiles, R.M Freshest advices Ohio State University Press 1965, 414. Chope, R.P. "First Devonshire newspaper" Devon and Cornwall Notes and Queries, v. 9 (Oct 1917), 243-7. 1-vol.3, no.553-?, 24 Sep 1714-23 Jan 1722-? Two issues per week by 28 Oct 1715. Literature: Wiles, R.M Freshest advices Ohio State University Press 1965, 79-80, 243, 282, 414-5. 1-[vol.5,] no.13-?, 27 Sep? 1715-[28 Nov 1718]-? Literature: Literature: Wiles, R.M Freshest advices Ohio State University Press 1965, 415-6. Issue of 28 Nov 1718 mentioned in The journals of the House of Commons, v. 19, p.30. Probably continued as: Brice's Weekly Collection of Intelligence, 1-?, 21 May 1736?-17 Jan 1746? Continued as: Brice and Thorn's Old Exeter Journal or Weekly Advertiser, 1-?, 8 August 1766-Nov 1773? Probably continued as: The Old Exeter Journal or Weekly Advertiser, [296? ]-?, Nov 1773?-1788? Continued as: Old Exeter Journal 12 May?-Nov 1791 Goodwill purchased by: Trewman's Exeter Flying-Post. Devon Heritage Centre. Westcountry Studies Library: 20 Jun 1729-4 Jun 1731 (lacks 29 Jan, 5 Feb, 7 May 1731); (8 Dec 1738, no. 134); 17 Apr 1752 (no.326); 7 Jul 1758 (no.53); 3 Sept 1762; 14,28 Jun 1765 (nos.405, 407); 28 Feb 1766 (no. 440); 15 May, 12 Jun 1772 (nos.300, 304); 15 Aug 1776 (vol.60, no.3099); 19 Feb 1789 (vol.73, no.3748). MIC: 11 Nov 1720-14 Sep 1722; 24 May-13 Sep 1723; 24 Sep 1724-23 Apr 1725; 30 Apr 1725-9 Jun 1729; 20 Jun 1729-4 Jun 1731 and most loose issues later. Literature: Wiles, R.M Freshest advices Ohio State University Press 1965, 416-20. 1-286-?, 24 May? 1723-8 Nov 1728-? Literature: Wiles, R.M Freshest advices Ohio State University Press 1965, 417-8. 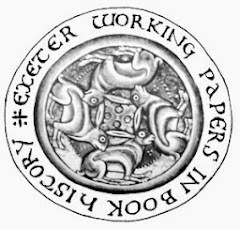 Evidence of a paper printed by Farley and published continuously in Exeter between 1731 and 1742 is shown in a series of payments for advertisements in the Courtenay archives (Devon record Office 1508M/ Devon account books v. 9, fo. 132v). 1-33-?, 1 May? 1741-11 Dec -? Literature: Wiles, R.M Freshest advices Ohio State University Press 1965, 419. 1-162-?, Feb? 1754-18 Mar 1757-? Exeter PL: 18 Mar 1757 (no. 162) Brushfield, T.N. "Andrew Brice and the early Exeter newspaper press" Devonshire Association transactions, 20 (1888) mentions that Thomas Brice was publishing an unstamped paper in 1755 which may be this title. 1-250?, 15 Sep? 1760-Jan 1764-? Exeter mercury 13 Jan 1764. No copies found. Mentioned in Public Ledger in January 1760, perhaps an error. Bodleian Library: 16 Jun, 21 Jul, 25 Aug, 29 Sep-29 Dec 1780, 16 Oct 1783, 3 Jan-14, 28 Feb-10, 24 Apr-12,26 Jun-25 Dec 1788, 23 dec 1790, 6, 20 Jan-3, 17 Feb-3, 17 Mar-30 Jun, 14 Jul 1791-23 Feb, 8 Mar 1792-25 Jul, 8 Aug-28 Nov, 12, 26 ec 1793, 14 Aug, 18 Sep, 30 Oct 1794, 8 Jan-19 Feb, 5-12, 26 Mar-9, 23-30 Jul, 13 Aug-3 Dec 1795, (14) Jan, 12, (19-26) May, 30 Jun-21 Jul, (29) Sep, 29 Dec 1796, 13 Jul, 16, 30 Nov 1815, 11 Jan, 29 Aug 1816, (4) Nov 1819. Card index: Exeter PL: covers Devon, Cornwall, Dorest, Somerset and Bristol subjects 1763-1885, names 1763-1835, including advertisements. Dymond, R. "Trewman's Exeter flying post", Western antiquary, v. 5 (1886), 163-6. "Our 150th birthday" Trewman's Exeter flying post, 30 Aug 1913. Tapley-Soper, H. "Exeter newspaper press: Trewman's Exeter flying post, Devon and Cornwall notes and queries, v. 10 (1919), 169. Continued as: Exeter Journal, ?-vol 8, no. 415-?, ?-5 Dec1796 -? Exeter PL: (25 Dec 1788) masthead only, in cuttings file. Master negative: 1 Jan-24 Dec 1789 BLNL. Incorporated with: Western Times and Gazette from 4 July 1952. Friday issues entitled: The Devon and Exeter Daily Gazette 6 May 1892-16 Jan 1895, Devon and Exeter Gazette 20 Apr 1903-26 Feb 1932. Daily edition entitled: Devon and Exeter Daily Gazette incorporated with: The Western Morning News as its Exeter edition from 1 Mar 1932. Western Times office 1956: 12 Jan1792-93; 1809-1952 (lacked 1841-42; 1844; 1865; 1868). All issues to 1812 now transferred to Devon and Exeter Institution. MIC: 12 Jan1792-26 Dec 1793; 1798-1800; 1802; 1809-1952. History of The Devon and Exeter daily gazette 5 Mar 1910 (Exeter, 1910). "The Devon and Exeter daily gazette: influential west country weekly" Newspaper world 9 Sep 1939, pp. 5, 29. Hems, H. "The press in the west" Western antiquary, v. 2 (Feb 1993), 181. Hoskins, W.G. Two thousand years in Exeter (Exeter: Townsend, 1960), 113-6. History: Jiggens, C.V. "Editor was jailed for libelling a Queen", Express and echo, 3 Sep 1959. Master negative: 8 Mar 1813-1830, 1833, 1848 BLNL. Continued as: Exeter Independent, vol.1,no.1-10, 30 Aug-1 Nov 1831. 1821 DEVONSHIRE FREEHOLDER See: Plymouth 1821, where the newspaper was published for most of its life. Plymouth PL: 15 Dec 1832; 1892; 1894. Vol. 1, no. 1, 2 May 1856. Devon and Exeter Institution: 2 May 1856. 1874 THE WESTERN ECHO: ADVERTISER AND JOURNAL FOR EXETER SIDMOUTH DAWLISH ETC. Incorporated with Trewman's Exeter Flying Post as: The Evening Post with which is incorporated Trewman's Exeter Flying Post (See: Exeter 1763). Exeter PL: 1 Jan 1886-15 Apr 1887 (lacks: 2 Apr, 24 Jul, 22-23, 27-28 Dec 1886; 13 Apr 1887). 1903 WILLEY'S WEEKLY ... INTENDED FOR ALL ASSOCIATED WITH WILLEY AND CO., LONDON, EXETER, ETC. Not published May 1914-Aug 1919; Sep 1939-1947. British Library, Colindale: Jan 1970-? British Library, Colindale: Jun 1970-? Fortnightly to May 1979. Monthly from June 1979. From Mar 1986 became Flying Post, a monthly (with gaps), losing the character of newspaper. 1-686-?, Jul? 1856-21 Aug 1869-1880? Established 1853 according to Robin Bush "The book of Exmouth" (Barracuda, 1978), p.111. Master negatives: 24 Jul 1869-date BLNL. Published by Hiorns according to Kelly's 1862 directory. No issues traced. Exmouth PL: 5 May 1988-. Incorporated with: Western Express, of which it appears to have been a local edition. Monthly, then weekly from 115, 12 Apr 1906. North Devon Record Office: (1901-39). 102 issues, ref: 1201/A/PZ/486-588. Literature: Vanstone, Alan R. 'Cory's Chronicle': the story of the world's strangest newspaper. (Jamaica Press, 1981). Six issues per annum, included as it is a revival of Hartland chronicle. 1-28-?, 3 Jul 1869-8 Jan 1870-? Allhallows Museum, Honiton: nos 1,3,6,10,15,22,23,28; 3, 17 Jul, 4 Sep, 9 Oct, 27 Nov-4 Dec 1869; 8 Jan 1870 undated Illustrated Literary Supplement. Continued by: Honiton news, Seaton news and Sidmouth and Ottery News by 24 Apr 1986. Local editions: Axminster and Axe Vale, 1986-2 Dec 1988; continued by Axminster and Lyme news. Sidmouth and Seaton; a continuation of Seaton news 4 Jul 1986-2 Dec 1988? ; continued by Sidmouth and Seaton news 9 Dec 1988? 6785, 8 Jun 1987 - ? Exeter PL: 8 Jun 1987 ? Possibly continued as: Ilfracombe Advertiser?, ?-1865-? Incorporated with: Ilfracombe Chronicle. The evidence for the earlier titles is tenuous, and is taken from contemporary local guidebooks. The earlier arrival lists were published weekly in the summer but less frequently in the winter. Visitors' edition, 1 Jul 1893- ? Master negative: 1 Jun-28 Sep 1860, Jan-25 May 1861, 4 Jul-26 Sep 1877, Jan 1893-1895, 1897-98, 1901, 4 Jul 1905-8 Jan 1907, 5 Jan-25 Oct 1912 BLNL. Vol.1,no.1-vol.1,no.18-?, 1 Jun-28 Sep 1860-? Master negative: 1869; 1876-80; 1889-93; 1911 BLNL. 1, 14 Apr 1983 - ? British Library, Colindale: 14 Apr 1983- ? Originally monthly, weekly from 10 Oct 1857. Newton Abbot PL: MIC 1855, 24 Oct 1857-30 Dec 1881, 10 Mar, 26 May 1883-1885, 1887-1900, 1987 to date. Publisher: 24 Oct 1857-30 Dec 1881, 10 Mar, 26 May 1883-1885, 1887 to date. MIC 1855, 24 Oct 1857-3 Dec 1864, 7 Jan 1865-1881, 1883-85, 1887-1900, 1912-26, 1929, 1932-51, 1953-61, 1965-66, 1968-76, 1980-date. Photographs: South Hams Newspapers archive covering more than forty years of work, often by freelance photographers deposited with Totnes Image Bank. South Hams Newspapers: 1877-1984? MIC 1901, 1904-11 Master negative: 1901, 1904-11 South Hams Newspapers, filmed by Wessex, stored in Devon Record Office. 11 Apr-29 Dec 1877, 1889, 1950 BLNL. Free distribution. Incorporated as South Devon Shopper, with Ivybridge and South Brent Gazette, renamed Ivybridge, South Brent and South Hams gazette. 1, 31 Aug 1984-? Unnumbered until no. 71, 10,Jan 1986. Free distribution. At one time included in Kingsbridge Gazette & Dartmouth Chronicle, and separately distributed in Plympton, Ivybridge, Totnes and Brixham. Formed from Merger of South Hams Gazette and Dartmouth Chronicle. British Library, Colindale: 3 Mar 1866-1878;1880-1896; 1898-1911; 1913-27 Jun 1931. MIC: 1897. Master negatives: 1870-1899, 1901-09, 1911-75, 1986- BLNL. 1982? to date No locations. 1 Jun 1987- ? Ceased publication by Dec 1987. Free distribution. Exeter PL: 1-5, 9, 11-14, 16-17, 19-29, 31-35, 37-39, 41-47, 50-55, 57, 3 Sep-29 Oct, 24 Dec 1910, 21 Jan-4 Mar, 1-13 Apr, 13 May-30 Sep, 4 Nov 1911-27 Jan, 9 Mar-20 Apr, 18 May-12 Oct, 7 Dec 1912- 22 Feb, 13 Sep 1913. Local edition of: Cornish and Devon Post. Exeter PL: 9 Sep 1976-7 Apr 1977. 1987 OKEHAMPTON CLARION: Midweek Extra. 1-212-?, Jan 1899-2 Feb 1903-? Proprietor, Edward Coleberd who had taken the lease for the Factory in 1889 which became the registered office for his company. Most pages contained syndicated national and overseas news. The most famous edition is that of Aug. 8th 1901, which celebrated the Silver Wedding anniversary of Lord and Lady Coleridge, and was remarkable by being printed on a silver finished paper. Master negatives: 21 Apr 1892-12 Dec 1929, 1 Oct 1931-18 Nov 1937 filmed by Torbay Council Unit for Torquay Libraries, stored in Exeter Central Library. 1930-30 Aug 1962 BLNL. Amalgamated with Torquay Times to form: Torbay News. Master negative: 24 Sep 1932-15 May 1976 BLNL. 1-vol 2 no 32-?, 3 Jan? 1718-12 Mar 1725-? The cessation of this paper is mentioned in the Western flying-post 14 Jan and 18 Feb 1760; it is probably the same as the Plymouth and Exeter gazette. No copy has been found. History: Wiles, R.M. Freshest advices, Ohio State University Press, 1965, 480-1. Listed in the Public ledger, Jan 1760 but may be an error for the Plymouth gazette. Orion Adams is known to have printed a short-lived newspaper in Plymouth about this time. No copy found. History: Wiles, R.M. Freshest advices, Ohio State University Press, 1965. Hunt, William. Then and now: or, fifty years of newspaper work, Hull: Hamilton Adams, 1887. Leonard, A.G.K. "Recollections of William Hunt as Plymouth journalist a century ago", Devon and Cornwall notes and queries, v. 27 (1957), 153-156. 1-12, 11 Dec 1851-18 Oct 1852. Advertisement only, no news. A local edition of Charles Knight's town and country newspaper (which was published in London 1855-56). A complete set was presented to the Parliamentary Press Gallery in 1932 but cannot now be traced. No copies have been located. History: Leonard, A.G.K. "Short-lived Plymouth newspapers of 1855, Devon and Cornwall notes and queries, vol. 27 (1956), 46-47. See: Plymouth 1932 for Exeter edition. Plymouth PL: Jul-Dec 1860; 1861-62; Jul-Dec 1863; 1864; Jul-Dec 1865; 1866; 1867; 1868; Jun-Dec 1869-1872; Jan-Mar, Jun 1873-Dec 1875; 1881-Jun 1886; 1887-Jun 1905; Oct 1905-Mar 1909; May 1909-Dec 1910; Apr 1911-Jun 1914; Oct 1914-Apr 1933; Jan 1934-Dec 1935; May 1936 to date. MIC: 1860 to date (from 1974 microfilm of all editions). Exeter PL: 29 Jan 1870; 7,14 Aug 1896; 23 Jul 1904; 5 Nov 1909; 2 Sep 1910; 30 Nov 1932; (4),22 May 1935; 1 May 1936; 24 Feb, 8,12 Mar, 24,25 Jun 1937; 25 Jan, 2,13,14,17,23- 25,30 Jun, 9,11,19-22,24,26-29 Nov, 8-12,16,19-22,24,28,30 Dec 1938; (1939-May 1942); Jun 1942 to date. MIC: 1885; 1975 to date (all editions). Torquay PL: 1948-74 (Devon edition). MIC: 1975 to date (all editions). Photographs: Western Morning News archive starting 1942 deposited in Plymouth and West Devon Record Office. EDITIONS: The question of variant editions of the Western Morning News is too complex to be easily sorted out by reference to a single set of holdings. It is probably best to start by confirming Exeter PL's holdings with a note of editions from 1932. EXETER EDITION: BL records: 22437 1 Mar 1932 to date. Holds 1 Mar 1932-16 Feb 1933. Prior to 1932 Exeter PL holds: 29 Jan 1870; 7,14 Aug 1896; 23 Jul 1904; 5 Nov 1909; 2 Sep 1910. CORNWALL EDITION: Exeter PL: 30 Dec 1932; 1 May 1936; 24 Feb, 8,12 Mar, 24,25 Jun 1937; 25 Jan, 2,13,14,17,23-30 Jun, 9,11,19-22,24,26-29 Nov, 5,8-12,16,19-22,24,28,30 Dec 1938; 3-5,7,11-24,26-28 Jan, 2,4-7,11,15-28 Feb, 8,10,13,14,16-18 Mar, 1-3,5-11,13-30 Apr, 1-2,4-8,10-12,15-20,26,29,31 May, 1-30 Nov 1939; 2 Jan-28 Feb, 26-30 Mar, 1,4-6,10-15 Apr, 2 May-29 Jun 1940. EXETER CITY AND EAST DEVON EDITION: Exeter PL: 22 May 1935. NO EDITION STATED IN ISSUES CHECKED: Exeter PL: 1 Jun 1942-27 Jan 1946. DEVON EDITION: Exeter PL: 28 Jan 1946-5 Feb 1949. EXETER, EAST DEVON AND SOMERSET EDITION: 7 Feb 1949-14 Jul 1984. DEVON OR UNSPECIFIED EDITIONS: Exeter PL: 15 Jul-10 Aug 1984. EXETER AND EAST DEVON EDITION: Exeter PL: 11 Aug 1984-28 Aug 1986. MIDNIGHT EDITION: Exeter PL: 29 Aug 1986 to date. The edition is not specified on every issue and sometimes the Devon edition was supplied in place of the East Devon [...] edition. The "all-editions" microfilm which starts in January 1975 normally shows change pages from the main Plymouth area edition for Cornwall, Devon, Exeter East Devon [and Somerset], and North Devon. Again not all editions appear for all issues. In the microfilms for July and August 1984, for example, which were specially checked to establish the change-over date from the Exeter East Devon and Somerset to the Exeter and East Devon edition, no Exeter [...] editions were included despite the fact that Exeter was receiving them. This may be due to the absence of change pages for those days, but the hard-copy has not been checked against the microfilms. [History 1860-1900] Western daily mercury,, 2 Jun 1900, 9. The western daily mercury: no. 40 in a series of articles on the provincial press, Effective advertiser, 1 Jun 1889, 41, 43. Incorporated with: Western Times. For Devon edition see: Illustrated western weekly news, Plymouth 1911. Plymouth PL: 1872-74, 1885, 1888-Nov 1889, 1893-Nov 1894, Jan-Jun 1895, Jan-Jun 1896,1897-Jun 1898, 1900, Jun 1902-1903, 1905-08, 21 May 1910, 24 Jun 1911, Jan-Jun 1912, 15 Nov 1913, 24 Oct 1914, 31 Jan 1920, 1922-38. MIC: 1882-83, 1888-Nov 1889, Jul 1892-Jun 1894, Jan-Jun 1895, 1896-97, 1900, Jun 1902-1903, 1905-23. Master negative: 1882-83, 1888-Nov 1889, Jul 1892-Jun 1894, Jan-Jun 1895, 1896-97, 1900, Jun 1902-1907 filmed by Wessex for Plymouth Libraries, stored in Exeter Central Library. Literature: Transaction of the Devonshire Association, v.78, p.264. Continued as: Western Counties Thunderbolt 79-153-? 29 Jan 1873-4 Jul 1874-? Continued as: The Bristol and the West of England Advertiser. See: Bristol. Continued as: The Independent 8046-?, 6 Mar 1960-1970? Continued as: Western Sunday Independent, ?-8863-?,1970?-18 Dec 1975-? Claims to have been established 1808. British Library, Colindale: 15 Aug 1877-1890; (1891-92); 1893-1910; 1912 to date. MIC: 1897, 1986-. Amalgamated with: Western Weekly News. Saturday edition of: Western Daily Mercury, taking its numbering. British Library, Colindale: 3 May 1879-28 Dec 1895, 1898-1916, 1918-26 Mar 1921. MIC: 1889, 1892, 1899, 1917. Vol.1,no.1-vol.4,no.25, 17 Jan 1885-23 Jun 1888. Plymouth PL: 1895-Mar 1906; Jul 1906-1915; 1925 to date. MIC: 1895-1974; 1975 to date (all editions). Published during football season only. Not published between 2 May 1914 and 23 Aug 1919 or between 2 Sep 1939 and 31 Aug 1946. Master negative: 1909, 1912, 1919, 1922, 1925, 1928, 1931, 1933-34, 1936, 1938 BLNL, 1950-54, Western Times Co.
See: Plymouth 1860. Some holdings given there may refer to this edition. Cornish edition of: Western Evening Herald. Plymouth edition of South Devon Times (see: Plympton 1921. Incorporated with part of South Devon Times to form: South Devon and Plymouth Times. Master negative: 6 Dec 1979-May 1984 Wessex for publisher, stored in Devon Record Office, Exeter. 8 Jan 1987 to date BLNL. Incorporated in: Plymouth Star? Free distribution. Incorporated Midweek Independent 1982. Discontinued by 1997. Free distribution. Continues in part: South Devon Times. 1-3945, 13 May 1910-17 Aug 1984. Publisher: Community Media Ltd (Devon), Fair Oak Close, Exeter Airport Business Park, Clyst Honiton, Devon EX5 2UL. Continued as: East Devon News Sidmouth and Seaton ed. 4 Jul 1986-2 Dec 1988. Continued as: Sidmouth and Seaton news 9 Dec 1988-2 Feb 1996. Continued as: Axminster and Seaton news 9 Feb 1996 to 1999. A continuation of Pulman's weekly news, Devon and Dorset edition. Amalgamated with The Western Flying Post or Yeovil Mercury to form: The Western Flying Post or Sherborne and Yeovil Mercury. Exeter PL: 27 Jul,17,31 Aug 1747; 18 Apr,5,19 Sep,3,10 Oct,5,12 Dec 1748. MIC: 22 Feb,29 Mar-9 Aug,23 Aug 1737-23 Jan 1749 (lacks 7,28 Nov 1738; 16 Jan,10 Apr,25 Sep,6 Nov,25 Dec 1739). 1737-40 from "Castle file". Plymouth PL: MIC: as Exeter PL. Master negatives: Whole file filmed by Wessex for consortium of libraries, some reservations over quality, Somerset Record Office. Formed by amalgamation of: The Sherborne Mercury and the Western Post or Yeovil Mercury. Amalgamated with: Western Gazette and Flying Post. British Library, Colindale: 17 Mar,23 Jun,4,18 Aug 1755; 9 Apr,7 May 1781; 6-27 Jul 1789; 17-3 Jan,21,28 Feb,21 Mar 1791; 28 May 1792; 26 Sep-31 Oct,5 Dec 1796; 25 Sep-6 Nov,20 Nov 1797; 30 Jul,15 Oct-5 Nov 1798; 9,16 Sep,21 Oct,2 Dec 1799-29 Dec 1800; 29 Jun-31 Aug,12 Oct,9 Nov-14 Dec,28 Dec 1801; 4 Jan-1 Feb,1 Mar-26 Apr,21 Jun-9 Aug,23,30 Aug,20,27 Sep,11 Oct-8 Nov,22 Nov 1802-23 May 1803; 6 Jun 1803-25 Mar 1805; 8 Apr 1805-11 May 1810; 25 May-18 Jun,2 Jul-24 Dec 1810; 18 Nov 1811; 20 Jan,17 Feb 1812; 5 Apr 1813; 21 Sep 1818; 3 Sep 1821; 13 May,5 Aug,16,23 Sep 1822; 13 Jan 1823; 16 Aug,29 Nov 1824; 3 Jan 1825; 27 Jan, 31 Mar 1827; 28 Jan 1828; 5 Jan 1829-31 Dec 1850; 8 Jul 1851-18 Jun 1867. MIC: 30 Jan 1749-30 Dec 1826; (4 Feb-22 Dec 1828), 1853, 1854, 1861. Exeter PL: 12 Jul,27 Sep,4,11,25 Oct,1,22 Nov,20 Dec 1756; 7 Feb 1757; 20 Feb,6 Nov 1758; 15,22,29 Jan,5 Feb 1759; 18 Feb,3 Mar,21 Apr 1760; 8 Nov-6 Dec 1762; 11 Nov 1765; 21 Apr,28 Jul,4,11 Aug,15 Sep,3,10 Nov,1 Dec 1766; 12 Jan 1767-26 Dec 1768; 2 Feb,4 May,16 Nov 1789; 31 May,5 Jul 1790; 31 Jan,25 Apr,16,23,30 May,13,20 Jun,29 Aug,5,12,19 Sep,3 Oct, 21 Nov,5 Dec 1791; 9 Jan, 27 Feb,2,9,20(*? )Apr,28 May,11 Jun 1792; 5 Jan 1795-25 Dec1797; 7 Jan-30 Dec 1799; Jan 1801-6 Aug 1810. MIC: 1749-Jun 1867. A Sherborne paper which included news and advertisements for Cornwall and Devon. 1-?, 1849 (no copies survive), new series no.1-ser 5, no.52, 3 Jan 1849 [i.e.1850]-1 Jun 1864. Probably discontinued before Harvey's death in March 1865. His business was inherited by his son-in-law Culverwell, later publisher of the Sidmouth Directory but depite the claims of the Sidmouth Journal to be a direct descendant of Harvey's paper, there was probably a gap in publication. Fortnightly. See also: Sidmouth 1859 for a possible variant issue. Master negative: 3 Jan 1850-5 Dec 1853; 1 Jan 1862-1 Jun 1864 BLNL (1850-53 borrowed from Sidmouth Museum). New series probably began on change of publisher from Perry to Lethaby. 1859 HARVEY'S SIDMOUTH OBSERVER, DIRECTORY AND GENERAL ADVERTISER FOR SIDMOUTH, HONITON, OTTERY ST. MARY AND BUDLEIGH SALTERTON. *Discontinued. Possibly a version of Sidmouth 1850. Master negative: 5 Mar 1859-18 Feb 1860 BLNL. Sidmouth Herald, Caxton House, East Street, Sidmouth EX10 8BL. British Library, Colindale: 1 Jan 1898 to date. MIC: 1868-71, 1878-87, 3 Jan 1890-16 Dec 1891, 1898-99, 1986 to date. Newsplan: Jan 1900-Dec 1950. British Library, Colindale: 29 Jun 1887; 29 Aug, 12 Sep-Dec 1888; Jun 1889-Dec 1896; 1898-3 Sep 1952. MIC: 1887-99, 1909. Herald newspapers, Caxton house, East Street, Sidmouth EX10 8BL. A continuation of East Devon extra (in part) and Ottery news. Continued by East Devon News. Free distribution. East Devon News Group, Heathpark, Honiton EX14 8SF. A continuation of East Devon news, Sidmouth and Seaton edition. Free distribution. Barnstaple PL: MIC: 2 Jul 1872-1876, 1878-1886, 1888-1896, 1898-1911, 1913-1950. Master negatives: 2 Jul 1872-1876, 1878-1886, 1888-1896, 1898-1911, 1913-1950 Newsplan. 1874, 1876, 1889, 16 Mar-28 Dec 1912, 1927 BLNL. 1953 to date publisher. 1-6104, 4 Sep 1857-13 Dec 1974. Centenary number, Tavistock gazette, 6 Sep 1957, pp. 1, 2. "Tavistock gazette celebrates 100 years of publication", Western morning news, 6 Sep 1957. Cornish and Devon Post Ltd., Western Buildings, Launceston PL15 7AL. A local edition of the Cornish and Devon post; date of first issue not known. West of England Newspapers, Teignmouth 1 Jan 1892-29 Dec 1893, 1898, 1900, 1906-1999 destroyed in fire 1999. Incorporated in Teignmouth Post and Gazette. Teignmouth PL: 4 Jan 1974-28 Oct 1982 West of England Newspapers, Newton Abbot: Jan 1972-28 Oct 1982. Lawn Publications Ltd, 6 Park Road, Dawlish EX7 9LQ. Exeter PL: MIC: Newsplan: 27 Apr 1858-1872, 1874-76, 1878-99, 1901-11, 1913-50 (awaiting transfer to Tiverton on receipt of Newsplan reader printer). Gregory, Alfred T. Recollections of a country editor, Tiverton: Tiverton Gazette, 1932. Master negative: Newsplan: 27 Apr 1858-1872, 1874-76, 1878-99, 1901-11, 1913-50. BLNL: 27 Apr-28 Dec 1858, 1860, 1862-66, 1875-77, 1889, 1900; 1912. Western Times: 1858-9; 6 Oct 1863-19 Sep 1865, 7 Aug 1866 to date Western Times Co. (not in Torquay in 2002 - removed ca.1996). N.B. Tiverton Museum negotiated ownership of the original volumes 2002. Master negative: 28 Nov 1865-23 Dec 1883 Western Times Co. 1875, 1877 BLNL. Replaced by East Devon times and Mid Devon times See Tiverton 1983. History: Centenary supplement. Devon and Somerset news 8 May 1973. Continued as: The Tiverton Journal, 624-1173, 24 Mar 1906-30 Sep 1916 "A local record and review for Tiverton." Free newspaper replacing in part: Devon and Somerset Times. A newspaper with the same title published in Taunton by South western Counties Newspapers on 8 Aug 1984 was reported in BNB 19 Jul 1989. ?1985 to date. Free distribution. 1-?, 19 Jul 1873-16 Jan 1875- ? West of England newspapers: prob. complete from 2 Apr 1847 but files inaccessible. Literature: Winget, William. "Reminiscences of an octogenarian" Torquay Directory, 4 Apr 1923. Master negatives: 6 Feb 1847-1899, 23 Jan 1935-29 Dec 1937 1848-99 filmed by Torbay Film Unit , 1900-12 by Wessex for Torbay Libraries, stored in Exeter Central Library. 2 Jan-18 Dec 1846, 1855, 1864, 1876-77, 1881, 1889, 1892, 1913-32 BLNL. Anniversary supplement Torquay times 18 Jan 1965 (includes facsimile of first issue). 1-16-?, 7? Jun-20 Sep 1873-? Published at Newton Abbot 19 May-14 July 1909 (nos 4-12), otherwise at Torquay. Western Times Co. Ltd., Harmsworth House, Barton Hill Road, Torquay TQ2 8JN. Master negative: 23 Sep 1921 to date Herald Express, stored by Express and Echo. Many negatives in 1950s to 1970s in poor condition. Since 1974 filmed by Wessex for publisher, shared cost arrangmenet with Torbay Library Service. 1-60, Oct? 1969-Oct 1974. Monthly. Formed by amalgamation of: Paignton News and Torquay Times. See: Paignton 1932, Torquay 1865. Free circulation from Oct 1984. 1, 19 Mar 1981 to date. Free distribution. Index: Prepared by Totnes Museum. Kingsbridge PL: Nov 1987-(front & back pp. only-rest identical to Totnes Times Gazette. © Ian Maxted, 1991, 2009.